So Very Fabulous! : IMATS Toronto 2010 Haul! Here it is, my haul from IMATS! I did the most damage at Make Up For Ever. I am disappointed that they weren't selling their eye shadows individually, I had made a list of all the ones I wanted to get. Instead, they were selling 4 different premade palettes of 10 eye shadows. I ended up getting one of them. A few colours were shadows on my list but unfortunately, the famous #92 wasn't included in the palette I picked. I also got their HD Foundation, an HD Primer (the green one), a Rouge Artist Intense lipstick and 2 Aqua Creams. My next stop was the Face Atelier booth. I knew I had to pick up some of their Ultra Foundation, I've been hearing rave reviews about it for ages. I also bought the Ultra Sheer in Champagne - this seems like a similar product to MAC Strobe Cream, it'll be great to give some extra glow and highlight. The Ultra Camouflage Duet, Ultra Loose Powder and #4 foundation brush also came home with me. I've been wanting to try Embryolisse products for ages and was excited to visit their booth and pick up some products. 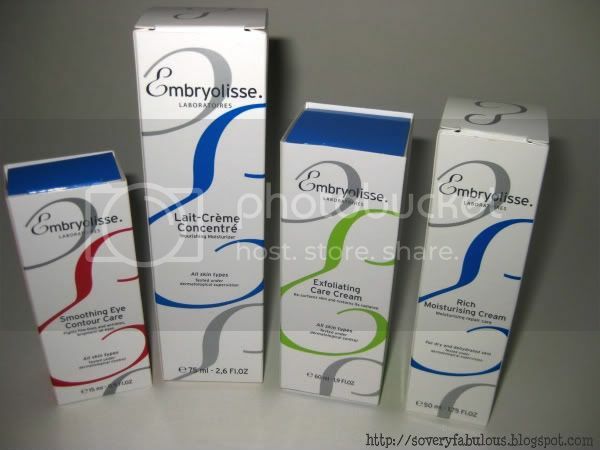 I got the popular Lait-Creme Concentre, Rich Moisturising Cream, Exfoliating Care Cream and Smoothing Eye Contour Care. Look at all the samples they gave with my purchase! My one unexpected purchase of the day was from the Stila booth. When I heard they were giving 40% off their products, I couldn't resist picking up the #33 One Step Complexion Brush. So far, I've used the Embroylisse Lait-Creme Concentre and Face Atelier Ultra Foundation a few times and really like them so far, but will wait until I've been using them a bit longer to give a review. I went to IMATS with a mental list of all the brands I wanted to purchase things from, and I pretty much stuck to my list. I am kicking myself for not getting some OCC Lip Tars though. I tried to convince myself that I didn't need any, but the more swatches I see of all the gorgeous colours, the more I wish I would have picked some up! There's always next year, or maybe I'll cave and order a couple from the website at some point. Stay tuned for reviews of some of these products coming up! Can I come over to play makeup? :-) Wow! Great purchases. You make me proud! :) what a great haul... Can't wait to read your reviews especially on Embryolisse & Face Atelier. omg....I am so jealous...look at all those goodies!! awesome haul lady! What Aqua creams and Rouge Artist did u get? Haha , I want to come over and play make up too with beauty parler. I am very tempted by the famous numb 92, such a shame it wasn't in one of their palette ! Amazing haul. Enjoy your products. Damn girl! That's an amazing haul. I look forward to hearing what you think about the Face atelier foundations. They are my go-to foundation for my kit. 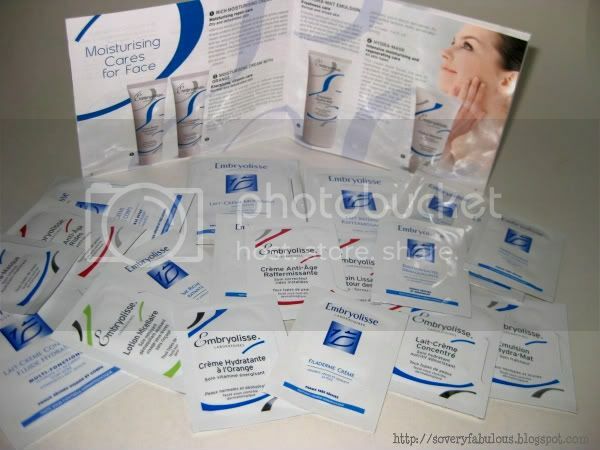 @Shadow_Lady you can order samples on the Face atelier site for $1. @marisol - I'm sure all these IMATS posts are getting you excited for next year. Start saving, girl. It was so much fun, I definitely recommend going if you can make it happen! @Anita - Lots of goodies, and there was tons more I wanted to get! I can never seem to have enough makeup! @Shadowy Lday - I got the gold and silver Aqua Creams and the Moulin Rouge lipstick. They're all so pretty, I can't wait to find the time to sit down and play with them, hopefully this weekend! I'm hoping I like the Aqua Creams as a base as much as I like paint pots, so many pretty colours! And as Naomi mentioned, I've heard you can get samples from the Face Atelier site so you can match yourself. I'd really recommend it, I am loving it so far! 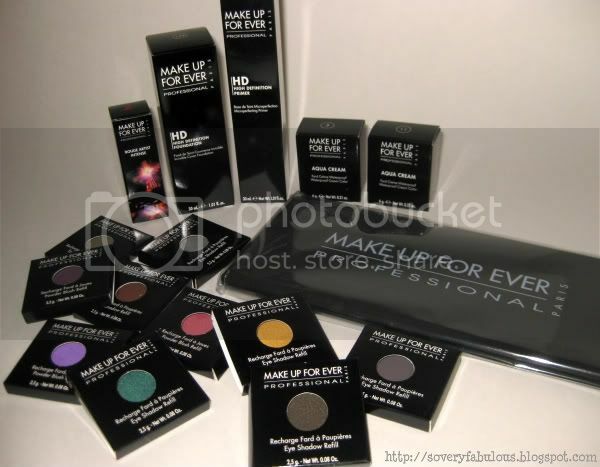 @MUA - Hehe I am always down to play with makeup, I certainly have enough of it that there'd be a lot of playing! The #92 was in one of the palettes, but unfortunately the other colours I wasn't too interested in. I am happy with the colours I got, I will have to get #92 at some point for sure though! 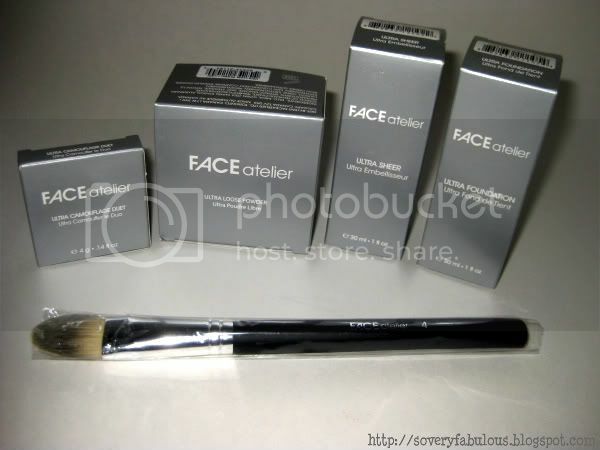 @Naomi - I am so glad I go the Face Atelier foundation, I am definitely loving it so far. I was so sad when I went to IMATS. I expected so much but it was so empty... :( I ended up picking up a foundation and creaseless eyeshadow from Stila! very nice haul, you put me to total shame! 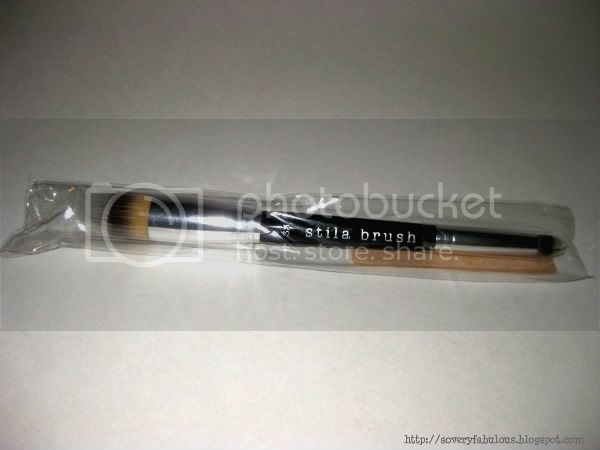 I would love to hear what you think of the Stila brush, I have been eying that one myself!